Are you considering establishing a new business entity but uncertain of which direction to take? In our content, we address the features of a public limited company, as well as the advantages and disadvantages of a PLC, all to help you decide if it’s the route you want to take. Public limited businesses, or public limited companies (PLC), are something we are all very much aware of. When people talk of stocks and trading, they are talking about ownership of PLC assets. But what does it mean to actually register and operate a public corporation? Is it something that can work for your business? Today, our experts in business management and finance look at the public limited company advantages and disadvantages in 2019 to help you choose the right direction for your company. What is a PLC Company? There are many popular types of self-employment in the UK, including the establishment of a PLC — otherwise known as a public limited company. 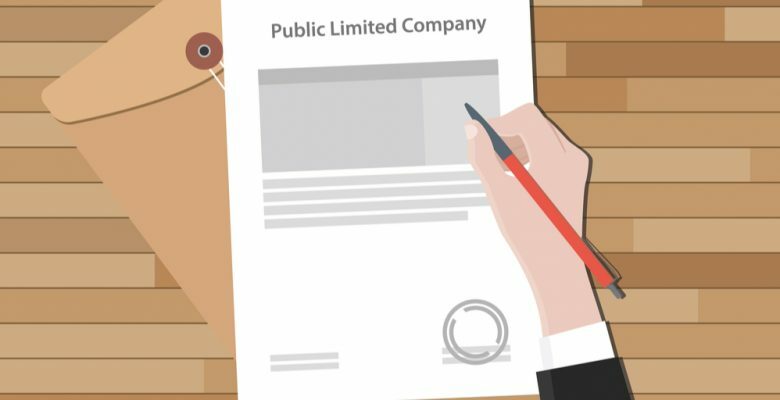 Public limited company characteristics are quite unique. A public limited business operates just as a private limited company (LTD) does in terms of operational capacity; however, it is also separate in how it works, as shares are open to public ownership. Anyone can buy and sell stocks in the corporation, should they be available. Because of this public access, the business must publish its annual statutory account results to provide an accurate representation of its current profits, financial position and tax responsibilities. Employment of a qualified company secretary. But why become a PLC over an LTD? This blog explores public limited business advantages and disadvantages and hopes to help you make the right choice about your corporation’s status. Directional Insight from Shareholders: Becoming a public corporation is an invitation of partial ownership; an invitation that can reach hundreds and even thousands of people, depending on the size of your brand. This gives these individuals a direct line of conversation with your company, with the potential to extract ideas and experience to allow the company to evolve in ways an LTD can’t. Reduction in Personal Liabilities: The more people associated with a brand, the lesser the impact of legal ramifications upon an individual’s shoulders, should there be any disputes where the law is concerned. Private limited companies allow you to become less liable than you would be if you were operating a sole trader enterprise. However, there is still only a small pool of owners in this set-up and, therefore, these types of businesses provide less protection than a public brand when it comes to issues such as debts, customer privacy concerns, and infringement of copyright, etc. PLCs also allow for easy moving of shares and assets, which makes an exit from the company far easier than in private limited firms. Improve Branding and Prestige: Simply put, the biggest and more successful corporations are public sector companies. Apple, Microsoft, Facebook — they are all public. Being in the public domain, trading assets and opening yourself to the stock market all bring a certain level of brand prestige that can enhance your reputation, investor perception and even increase value. Corporation Links and Alternate Growth Avenues: Those who invest in your stock want to see your company succeed, allowing them to make more money. Because of this, you may find your corporation can create links with entrepreneurs, different types of businesses and seasoned industry experts that would have been previous unattainable — links that can provide new opportunities for growth and profit maximisation. Of course, this is all subject to speculation and dependent on who buys stocks, but the potential is there. For example, if a marketing agency was to invest in your brand, you may find it can help support growth through discounted rates, consultations and trade, or at least offer new opportunities for business exchange. Potential for Loss of Control: Ultimately, shares control company ownership. Shares count for votes in PLCs, which means if you sell off more than 50% of your company, there is the potential for shareholders to take over and even eject you from the business. This is especially dangerous in situations when two directors have different visions and high share volume because if they can gather enough support, they can oust another director. When it comes to public limited company advantages and disadvantages, this is a very important one to consider. Different Directions for the Business: Yes, we’ve listed this as a benefit, but it can also be a disadvantage too. In an LTD, directors have complete control over the direction of the company and where they see its future. In a public limited business, you must consider the rights and wills of your shareholders or you may face backlash and declining share value. This means you can be subject to their demands, which may force a change in direction or a focus on short-term profitability over long-term gains. Stock Market Vulnerability: The value of a private limited company is very much tied to internal assets, investments and trade. However, the same cannot be said for a public limited company. Stock value dictates success. We’ve all heard of companies collapsing as their share values plummet due to external issues, such as bad PR. In some circumstances, this can increase the vulnerability of a company. What is certain is that PLCs are liable to more influence on value than LTDs, a significant disadvantage for a public company in terms of stability. Increased Legal Implications: As outlined briefly already, by entering into the public domain, corporations must adopt more rigorous legal practices to provide transparency to shareholders and protect them against any potential ramifications the company is subjected to based on PLC law. This means a focus on compliance with a large number of laws and increased administrative obligations. More than anything, it is a drain on time and resources. There are clear and obvious benefits to public limited company registration. Yet, there are the disadvantages of PLCs to consider as well. Ultimately, whether or not you choose to form a public limited company comes down to stability and risk. If you believe your company is well established and has the financial backing, growth potential, legal know-how and directional strength to introduce public figures into asset ownership, then the advantages of a public limited company can result in greatly improved prospects and set you up for new development opportunities. However, if you are a running a small business with limited reach, or a new company still finding its feet, such a strenuous undertaking is unlikely to provide the answers you are looking for. The disadvantages of a public company in this scenario could present unnecessary obstacles and risks. Instead, we would advise sticking with private investors and maintain greater levels of control. If you are looking bespoke advice that considers the public limited company advantages and disadvantages as they relate to your business or would like support becoming a public limited company and getting registered, our online accountant services are exactly what you need.